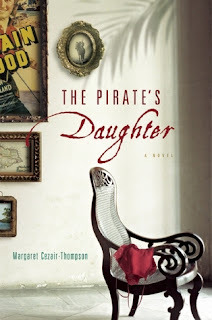 When I looked at this novel, I could not imagine how the author, Margaret Cezair-Thompson would bring Errol Flynn and Jamaica together. However, once Ida, a young teen-ager, and her father came on the scene it all blended together very nicely. While growing up his photo might have flashed across the tv screen. What stood out? His looks. He seemed very handsome. When I looked back at his photos and movie clips tonight, he still looked handsome. The mustache is what draws me. My father had a mustache too. Maybe the spirit of a pirate lived in him also. Now, I have found out that Errol Flynn really had a life on the island. I love the quote at the front of Margaret Cezair-Thompson's novel about his life there. "Back in America, little was known of my life in Jamaica." He wrote this in his autobiography "My Wicked, Wicked Ways." Two facts stand out immediately. One involves gratitude. 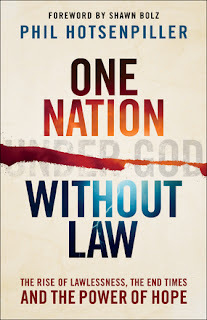 I am thankful to Phil Hotsenpiller in "One Nation Without Law." He writes a reminder. None of us are without the capabilities of sin. As hard as it is to believe or accept raging anger can come to life in all of us. Only the Good Lord's Holy Spirit holds us steady. The author writes that we can become as evil as Eichmann. He is one of the men who participated in the horrors which came upon the Jewish people. If you've ever wondered does God talk to us through dreams and visions, this is the book for you. It's Non-Fiction. In Faith Blatchford's book, we are reminded of the dreams in the Bible. For example, Abraham's dream is one among five. Impressionable is the thoughts about why God gave us sleep. Our sleep is His gift. It is exciting to think about God's timetable. Does He live by one? Does He need rest? 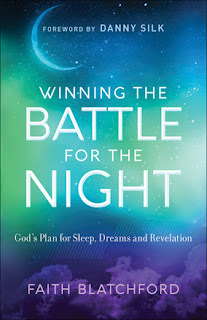 These types of questions are answered in "Winning the Battle for the Night: God's Plan for Sleep, Dreams and Revelation." After reading this simple and thorough book, the mind opens to another way God might choose to show solutions to our problems and give guidance, etc. Knowing God is aware of us as we sleep could possibly take away sleep anxieties. After all, He is our Protector. The One who never grows tired, and the One who never leaves us.